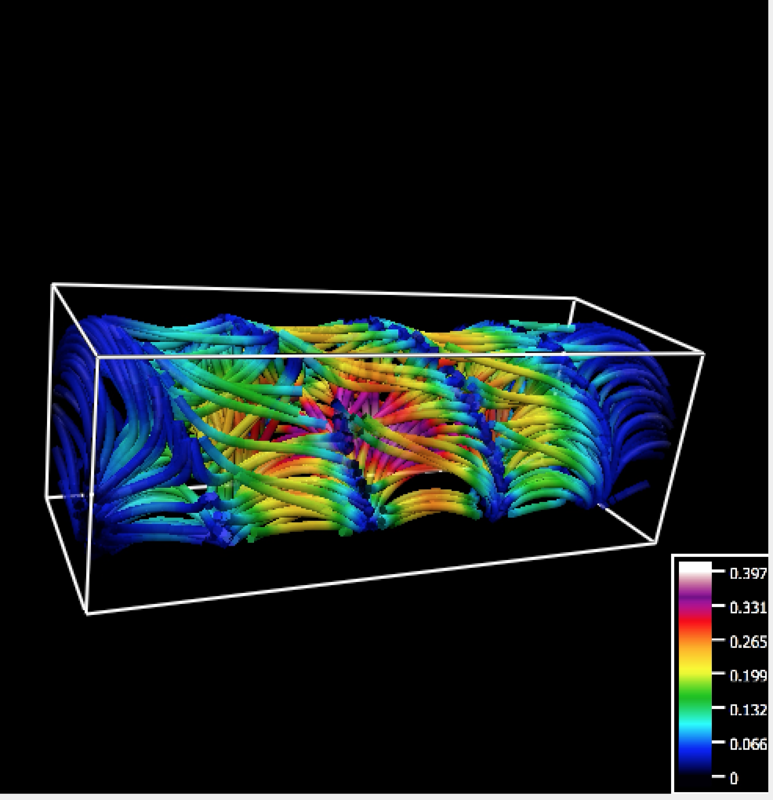 This summer, Nick Anderson ’20 worked with Professor of Physics Michael Brown to perform complex computer simulations of magnetic fields as part of their fusion energy research project. Because of the types of calculations and level of detail involved, running the code on a desktop computer took a long time. Working with staff from ITS, Nick was able to gain access to the XSEDE high performance computing environment and run the simulation on a supercomputer at the Pittsburgh Supercomputing Center. In a few weeks, the group used more than 21,700 hours of computing time, which is equivalent to running a desktop computer full time for 2.5 years. 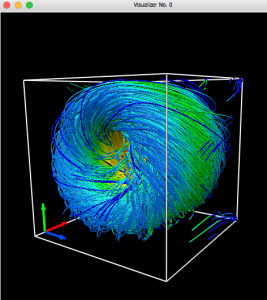 The magnetic object shown may have the potential to be a target for fusion energy, so we simulate it to learn more about its properties. 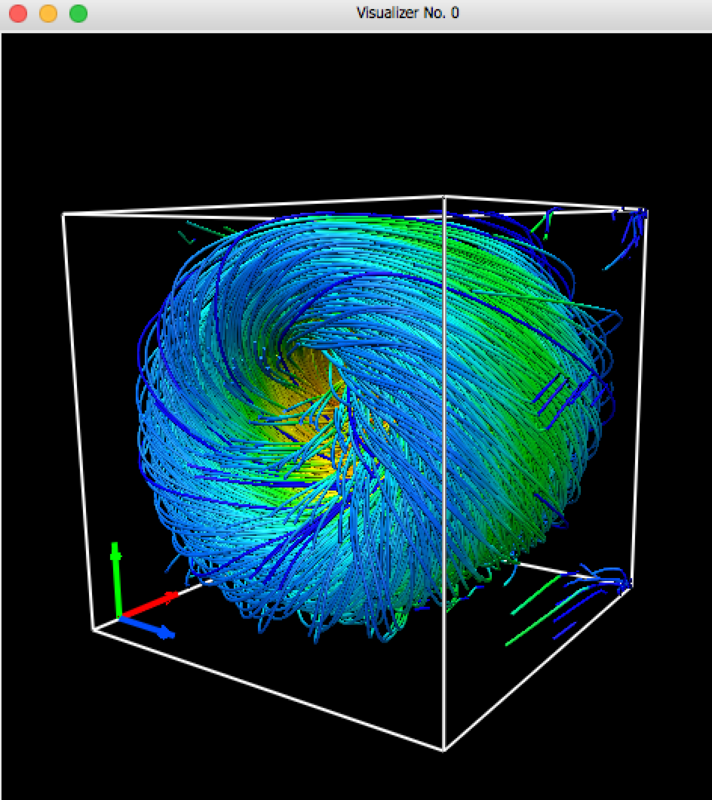 We begin with a twisted donut made of magnetic field called a spheromak, shown in the first image. 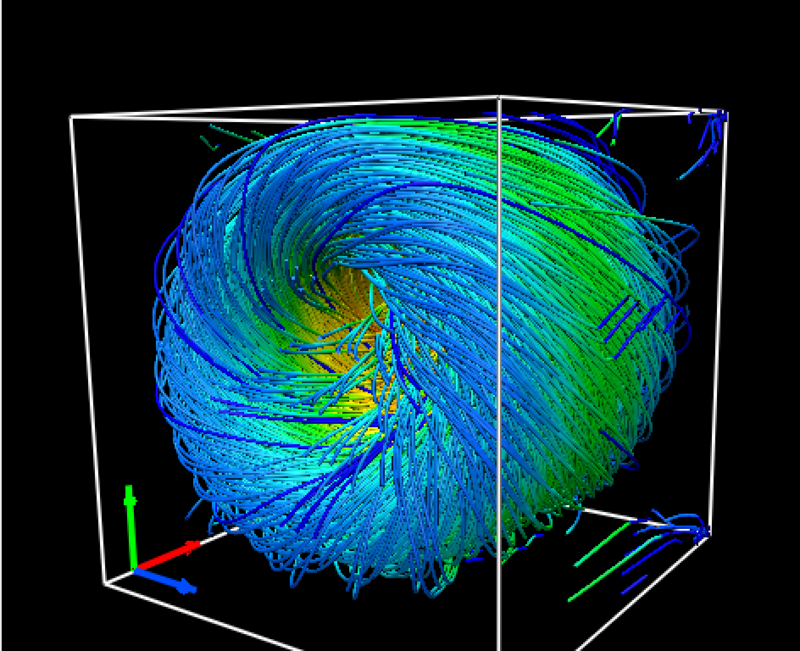 We shoot this ring of magnetic field down a long tube, where it tilts and becomes more like a crueler. You can see the beginnings of the tilt in the second image. 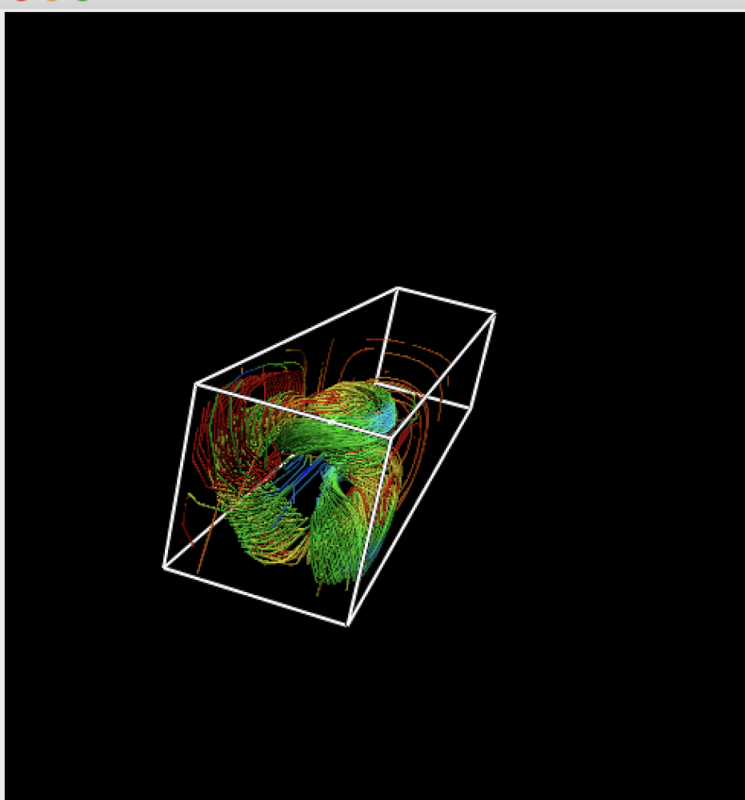 We still need to run more simulations, but we expect to find the final shape to look like the third figure. 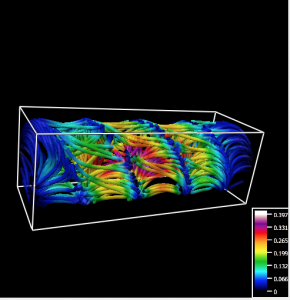 If you are interested in learning more about high performance computing at Swarthmore, please get in touch with your Academic Technologist. Previous Previous post: How much paper do we print?